My son counted to one hundred when he was four years old. I witnessed it, spying from the kitchen as he picked up his toy phone and whispered it “to Daddy,” even as I held in my hand a document from his preschool stating that he was unable to count to ten. Today, at age seven, he tells me that he can count to 999,999. I’ll be honest, I haven’t had the patience to see how far he can go beyond 1,000, but I wouldn’t doubt it’s pretty far. Numbers fascinate him, the way fairy tales and fantasy fascinate me. But he doesn’t care for that kind of thing– he has always been very logical, and a bit of a heavy thinker. Even as a toddler, he ignored my invitations to play make-believe, instead preferring to line up his hundreds of matchbox cars, driving each one into position in the same, methodical way, until our entire couch was turned into a well-ordered parking lot. He is a big-eyed, big-hearted beautiful child who loves dogs and babies and anything to do with Mario. I have held back tears watching as he went out of his way to befriend a severely disabled boy at his school, and laughed as he swore off marriage for all eternity, telling me he would prefer a dog to a wife! There was nothing easy about the decision to take him to a child psychologist and have him tested, knowing that Autism was suspected. I had that first document in mind, “Is unable to count to ten,” and knew that I knew him better than any teacher, physician or psychiatrist ever would. I knew that he had performance anxiety; that the more you got in his face, the more he retreated to his own inner world, where things were safe and orderly, like the cars on our couch cushions. I also knew that unlike many autistic children, he loved to snuggle, give hugs and was quite social, easily making friends wherever he went. What mattered most was that he was my son, and I loved him just how he was. My husband and I argued. I argued with myself and with his teachers. Why allow him to be labeled, questioned, picked at? Common sense told me why. Because he can’t just hide in a corner of our living room and whisper what he knows into a toy phone. Because the real world has very loud and demanding expectations, and I can’t stand in the way of them all. Because, though I see the magic that makes him him, quite frankly, no one else is looking through that same lens of love, and what they would have seen, without a correct diagnosis, was a child refusing to cooperate. But what I didn’t realize was how much I, myself, needed his diagnosis. It is there, as clear as the pattern of his play, that no, he doesn’t have ADHD, he has anxiety. That yes, he is quite intelligent, but no he won’t always show what he knows at school. And I needed it especially when I was unable to understand his behavior, even at home. Was it me? Was I just an awful, disillusioned failure as a mother? Sometimes it still feels that way. Children with Asperger’s defy a lot of the common standards of parenting. They don’t accomplish milestones on the same timeline as others. They don’t respond to discipline in the same way (my son quite enjoys time out, for example, so that it’s more like a reward than a punishment). And they can easily hurt an overly emotional parent who is looking for signs of compassion when their child is instead locked in a world of dispassionate reason. It used to bother me that my son doesn’t play imaginatively, that he can’t relate to what he hasn’t experienced himself, that he rarely ever dreams. What a dark, sad little world his must be! But then I decided to look at life through his eyes, and when I did, I found new magic. I found I had blinded myself with pity and worry, with trying too hard to “make things right.” I still like to challenge him, just as he challenges me. I read him fairy tales, teach him magic tricks, and even invite the tooth fairy to visit during those dreamless hours. The other night he told me, “Mom, I’m like a mermaid.” (he was referring specifically to the creatures in Hans Christian Andersen’s The Little Mermaid, who have no souls and turn to foam when they die). “When I go to sleep, I’m just nothing– like a dead mermaid.” Maybe that sounds depressing to you, but he was thrilled as he said it. He was finally relating to something other– something mythical, something almost as magical as him. I wrote the story Solomon’s Friend in an effort to share some of the magic I discovered in parenting my son, because being that parent is hard, it’s isolating, it’s steeped in misunderstanding, but I’m here to say that there are at least 999,999 reasons to love an a child with Asperger’s. I am so privileged to be able to count them all! 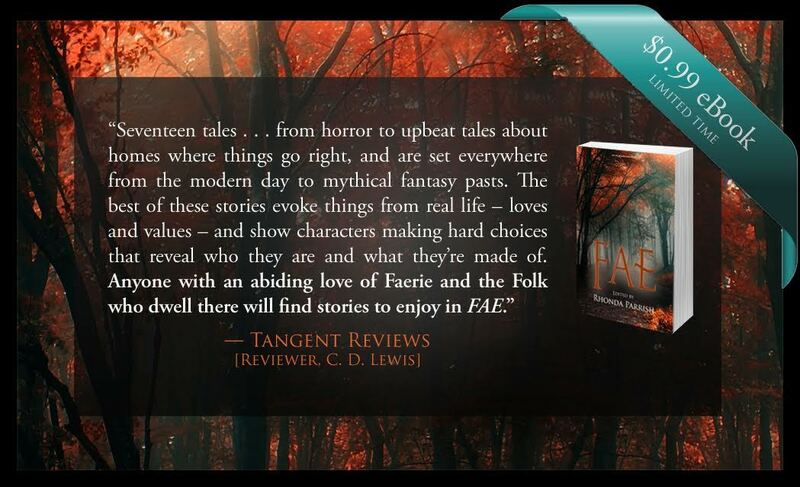 You can find Solomon’s Friend in Fae, available at World Weaver Press, Amazon, Barnes & Noble and other online retailers for only $0.99 through July 29th (ebook regularly priced at $6.99). Dude, that made me more than a little teary. Thank you SO much for sharing it.